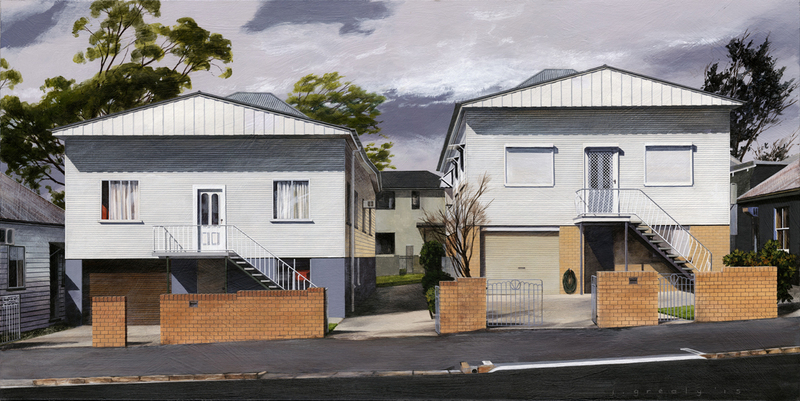 “Evocative artworks by two New Farm residents offer different insights into the Brisbane suburb, their works coming together to help us value the ‘overlooked extraordinariness of the ordinary’“. Sheona Thompson, Houses, Issue 108 Feb 2016. The images following are of Jane’s work. 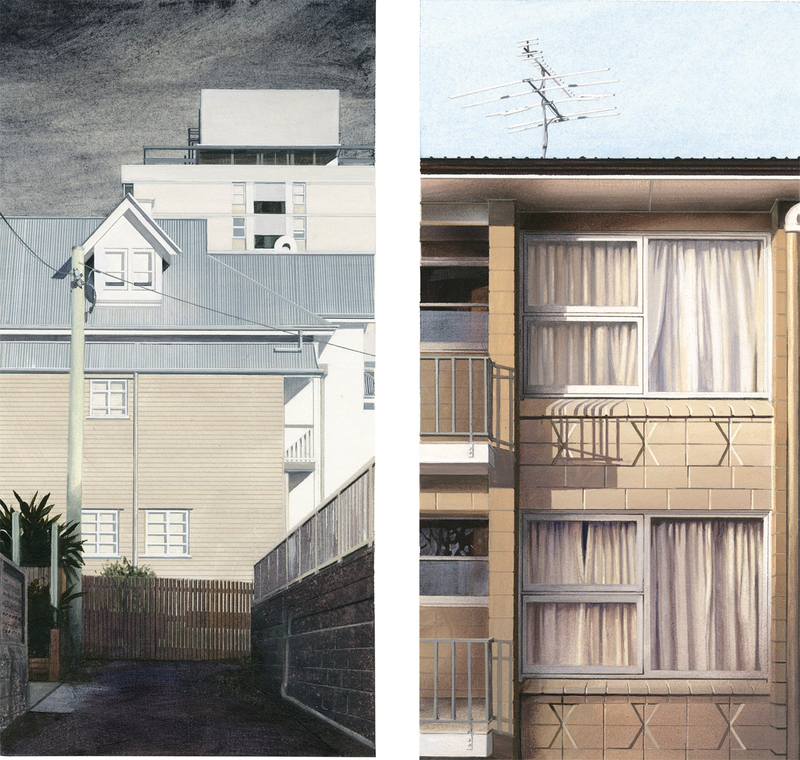 For this exhibition I am painting and drawing subjects of my choice – the less examined architectural fabric and detail of New Farm where I have lived for thirty years. I am interested in the remnant spaces and landscape between and behind buildings, and buildings that are unassuming, which may not even register with passers by. Are these places used and familiar to people or are they unnoticed, even abandoned? I live next door to a large block of flats that overlooks our house. The screening landscape between us has gone and our windows, balconies and verandas face each other. It seems to me both sides employ a discretion reminiscent to the one David Malouf describes of living in Queenslanders – that of “not seeing and not hearing”. Our discretion is not to look directly at each other, and to only occasionally acknowledge each other’s presence, to ignore outbursts, indiscretions. On long walks home from school as a child, I enjoyed looking at houses, assessing which was the most attractive, looking at the windows for signs of how those inside lived. Many of the paintings in this exhibition are views from my home looking out.